When I began playing pickleball, the first thing I, like everyone who plays, did was buy a paddle. I tried a few that other players had but none felt comfortable in my hands. I went to the largest paddle vendors to get information and they had an abundance of information. Unfortunately, most of it was confusing and much of it was contradictory. I wasn’t getting much help. Even players who had played for years including 4.5 and 5.0 players didn’t really understand why they chose one paddle over another. So I finally bought the paddle that seemed the best fit for me. Until it really wasn’t. Then I bought another and it was an improvement over my first choice but wasn’t quite right either. Then I bought another, and a fourth and a fifth until I put my foot down and said there must be a better way. The first thing we need to understand is what kind of player are we. We can’t find a paddle until we know our own game and what kind of style of play we are most successful at. There are many players who are constantly improving and seek to get better and better as they enjoy the game more and more. Having confidence in your equipment is the key step to increased performance. 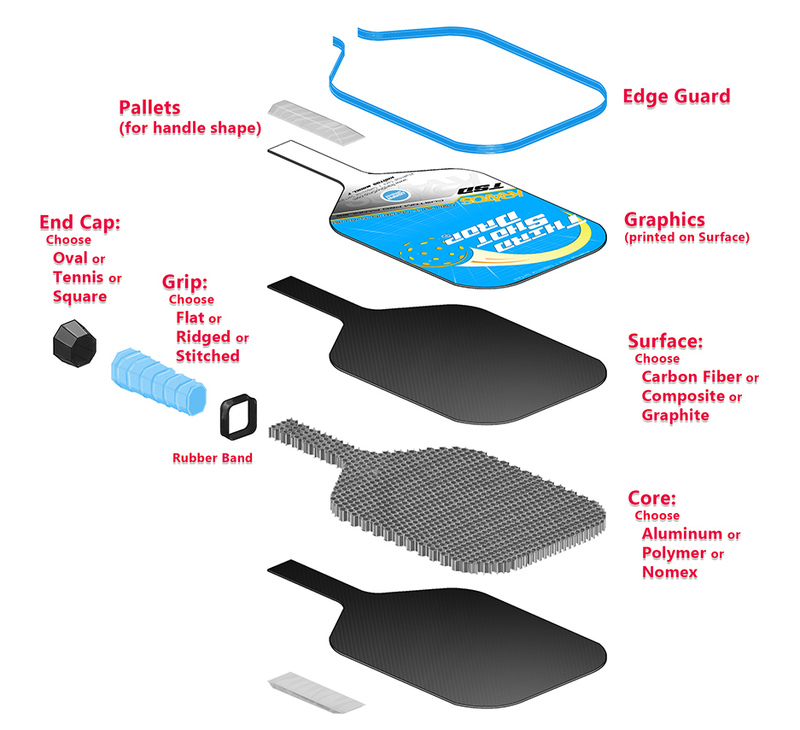 Using a paddle that fits their hand, fits their style of play and will enable them to improve to achieve the goals they have for themselves in the sport. I have been making the finest custom wood baseball and softball bats since 1999. My company has over 300 Major League hitters who stake their livelihoods on our bats. When players are confident they have the bat that suits their game, they go to bat with confidence. That confidence translates into better performance. A baseball or softball bat is a very difficult product to purchase without holding it and getting the feel of it in your hands. I have learned over the course of fitting thousands of players how to help players find the tool that will help them achieve their goals- from youth baseball to the Major Leagues to league champs in their local softball league. My company, X Bats, is STILL the only bat manufacturer to supply the same quality wood to each and every customer from the t-baller to the senior league weekend warrior that we supply to our 300+ Major Leaguers. Now pickleball has become my passion. I play for 4 hours a day, 4 days every week and look forward to each day. The game has helped me slowly wind the clock backwards and motivate me to be more active, eat better, focus on healthy habits and more. As one of my friends said to me, “Pickleball saved my life”. You know what I mean because if you are reading this then you’re hooked on the game, too. It’s time to use my experience as an athlete and as someone who provides tools to help athletes become the best they can be, to help players like you find the paddle that will help you be a better player- the best you can be. 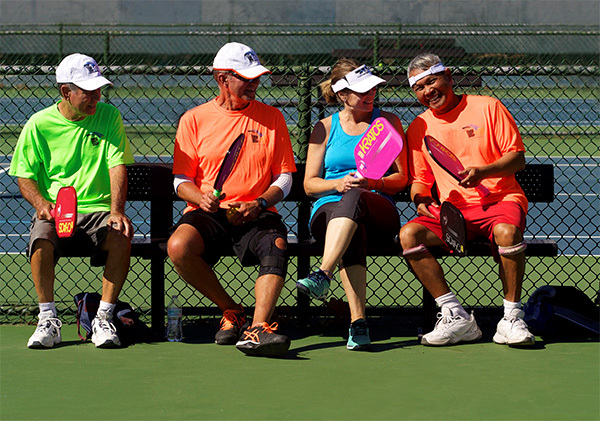 On behalf of everyone at Third Shot Drop, we look forward to serving you and helping you build the paddle that helps take you to the next level whether you are a 5.0 Tournament player or a player who looks forward to getting on the court and having fun turning back your clock.